"A nice side dish with practically no fat or calories that will go with any meal except a tomato-based one. If you like, you can add diced bell peppers to this dish too. Serve hot in a small dish." 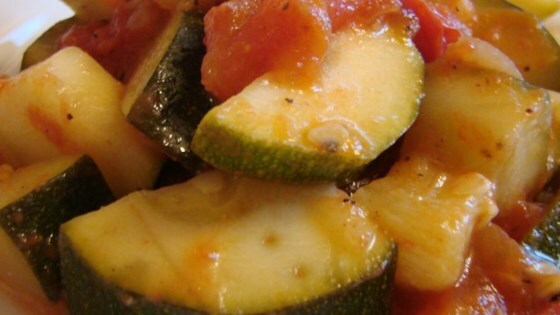 Try this quick, healthy side dish that features roasted zucchini and potatoes. I thought the kids would turn up their noses but they wolfed it down. Very surprised but pleased. This was very easy to make. I am always looking for creative ways to use the abundance of zucchini from our garden. I added freshly grated parmesan.